Its official. 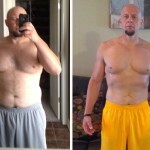 The P90X3 BATTLE OF THE RIPPED CHALLENGE is over and the results are in. Both RIPPEDCLUB and TeamRIPPED gave it their all and I cant express how proud I am of ALL the members of RIPPEDCLUB who took part in our P90X3 Challenge…but unfortunately only the top 5 men and top 5 women from each team could represent their team’s in battle! I can say with great confidence that this was one of the most fun challenge groups that I have ever led and been a part of. The team spirit, the encouragement, the accountability, the friendships formed…all of it was just off the charts and I could not have asked for a better atmosphere to help others get serious results. And thats exactly what they did! Below is a video of the 5 men and 5 ladies who our very own team voted as those who would carry the torch for RIPPEDCLUB. These are the people who went beyond just pressing play. These are the people who dug deeper than “normal”…normal doesnt work for us. These members went extraordinary! They acted with precision and determination to shape and chisel their bodies into an X3 masterpiece! 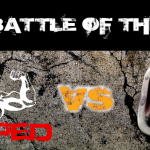 After you watch the video below of both RIPPEDCLUB and TeamRIPPED, be sure you stay tuned and coming back to this site because this isnt the end… A winner has yet to arise, but our judges eagerly await their opportunity to crown the most Xtreme team in all of Beachbody! and none other than… Tony Horton himself! Now on to the RESULTS! 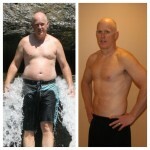 After 90 days of literal blood, sweat, and tears…Here is what RIPPEDCLUB has to show for it!